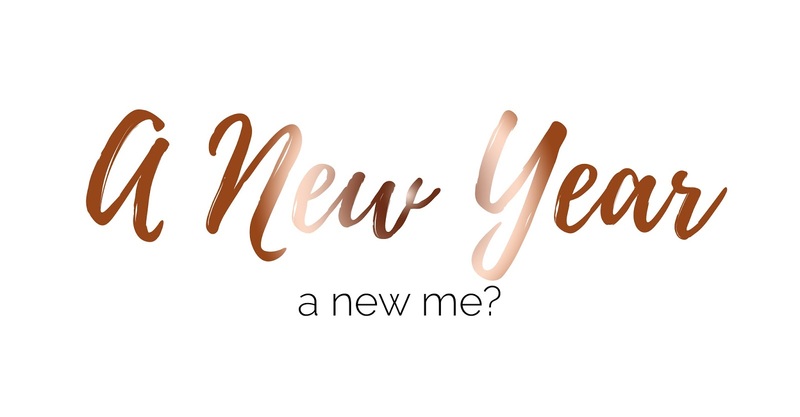 So you may be thinking "ugh, another a new year, a new me idiot". Don't worry, I'm not that person, or am i? I wouldn't say I'm, a completely new person, that would just be insane however this year I am making changes to my lifestyle and life in general so I can be a better version of myself. One of my New Year's Resolution's is to work out everyday. Lets just say I haven't worked out everyday because some days I have been in complete agony and I've had work the next day so it wouldn't be ideal to put myself in more pain! And then of course I get a rest day every week anyway, but I am making a good attempt at working at several times a week to become a fitter and healthier version of myself. I wouldn't say I'm working out because I want to lose tonnes of weight, because I don't. In my mind, 10kg is the maximum amount of weight I'd like to lose (I put this on within the space of just over two years, aka I have been way too comfortable with my boyfriend). But I would also say this is a good thing. It's incredible for me to be able to feel like myself around someone, someone who used to be a complete stranger. I never used to eat in front of people and because of Luke, I'm not so bad anymore. After suffering with extreme knee pains due to two different reasons (which I have spoken about before on my blog), my health has declined since I was 10 because the pain got worse and worse and I was unable to participate in P.E lessons in school. However, now that I have got this pain under control and I know how to deal with it, I'm glad I'm able to exercise the way I used too; I can challenge myself and push myself to be fitter and healthier than before. I'm currently working out on nearly a daily basis using Lucy's (LWR Fitness) current workout challenge which I surprisingly named #HiitTheNewYear when she was asking for people to name her January Challenge over on her Instagram account. I absolutely love Lucy's workouts because they're quick, but I wouldn't say they are always easy! Although they are only four minutes long, they make such an impact to the area you are working. My arms or legs are always absolutely killing, even my bum was hurting within the first week! They do say, no pain no gain! Within the New Year I also plan on cycling with my boyfriend. I'm currently ordering a dual suspension mountain bike so we can start cycling around the village and even different places in the UK once the weather is better. We have even decided we're not going abroad this year and instead we're going to go to places such as Dorset and Norfolk and cycle to different areas within these places instead. Changing a lifestyle isn't easy, it's always going to be a challenge, but if it weren't a challenge, then you would never change. I aim to create a healthy routine in my life so I can become fitter, healthier and happier with myself and how I am. Although toning up will make me happier because I'll no longer have the saggy skin (which unfortunately Luke loves), but I'll feel so much better health wise! I'll be able to cycle a far distance without feeling like I'm dieing and I cannot wait to make these changes! It may be a slow process, but at least I'm going forward! Does anyone want to become a better version of their self this year?